Today’s deadline for Jammeh Yahya to step down as president of the Gambia has been characterized by Yahya’s recalcitrant refusal to stand aside and allow the will of the Gambian people to be respected. As civil society organisations, we are raising our voices in solidarity with the people of the Gambia who have since the 1994 military coup, which brought Jammeh to power, endured decades of dictatorship and systematic human rights violations under his rule, in particular stifling of freedom of expression, association and assembly. Journalist, human rights defenders and activists in the Gambia have continued to operate in hostile conditions, have been threatened by reprisals, abductions and experienced other gross human rights violations. Over the years under the Jammeh regime, there has been much outcry from the people of the Gambia for the world to pay attention to the various atrocities inflicted on them. The Secretariat of the African Commission on Human and Peoples’ Rights, the apex regional human rights body of the continent, is located in the Gambia. It is a key human rights vehicle which ought to promote and protect human rights. Despite its close links to the country, the African Commission has over the years been very lenient in holding Yahya accountable for his authoritarian rule. We have recently learnt that the Secretariat has been temporarily moved to Senegal in light of the political tensions in the country. More than thirty thousand civilians have also left the country. We must be reminded that, at the centre of conflict, women and children tend to be victims of numerous human rights violations; and that displacement further exacerbates their vulnerability. The repercussions of war are far reaching for many and the difficulty of sustaining peace post conflict can be overwhelming. We call on the African Union to use mechanisms to address these types of situation. For example, the AU Charter on Democracy, Elections and Governance has been breached given the current situation. Article 23(4) applies here – Jammeh’s refusal to relinquish power constitutes a breach of the Charter, therefore appropriate sanctions must be imposed on him. We call on the African Union to put its weight towards the volatile Gambian situation in realisation of this article. Furthermore, the AU Peace and Security Council will be presenting a State of Peace and Security Activity Report in Africa tomorrow. We are calling for this meeting to make sure that the state of the Gambia is put on the agenda and a resolution is adopted in this regard, ensuring that Yahya steps down. Being mindful of the fact that Africa is working towards silencing the guns, peaceful solutions should be explored outside of military interventions. Africa must step forward and actualise solutions befitting African problems. The people of the Gambia have lived under Yahya Jammeh’s authoritarian rule for two decades, and have done so peacefully. Now, they have now spoken. Jammeh must respect their voice. We applaud Botswana for announcing that it no longer recognises Jammeh as president of the Gambia; and we urge all AU member states to do the same; and also to recognise Adama Barrow as the President of the Gambia as soon as he has been sworn in. We remain in solidarity with the people of the Gambian people, in their quest to have their democracy respected without the need for resorting to preventable violence. 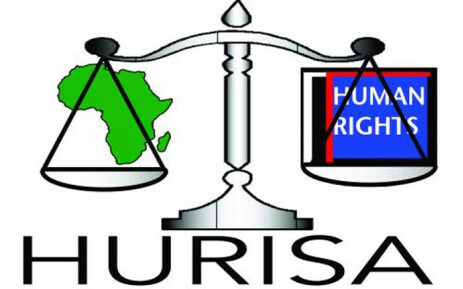 Statement prepared by the Human Rights Institute of South Africa (HURISA) and the Centre for Human Rights, University of Pretoria (CHR-UP), Tshwaranang Legal Advocacy Centre (TLAC) and supported by CIVICUS.